UK delivery within 5 working days. Est. 30 April - 3 May. Our Spain Extremadura table flags in size 4x6" are made from heat cut woven polyester fabric. 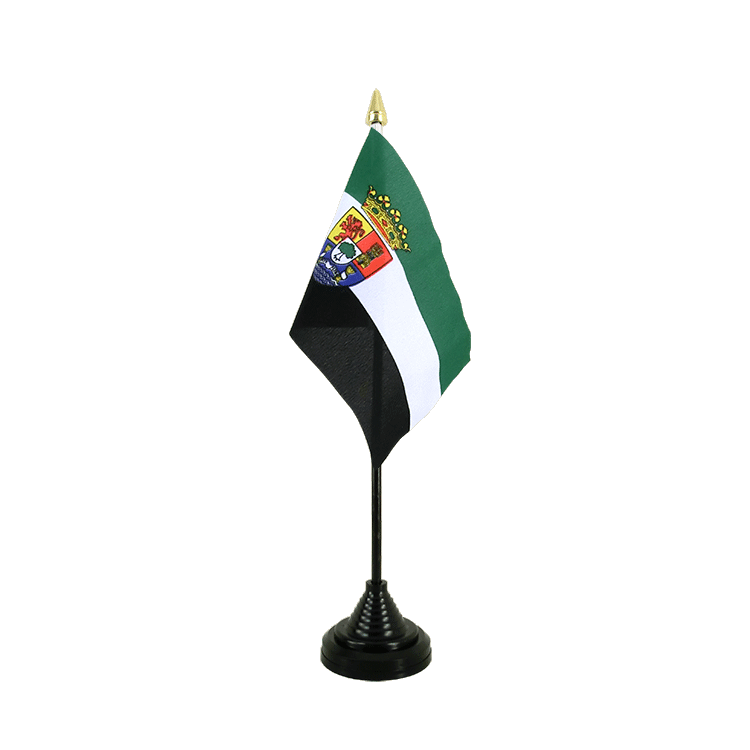 A pole with a gold tip and a base made from black plastic are included in the delivery of the spanish table flag. Discover Royal-Flags.co.uk's great variety of Table Flags! 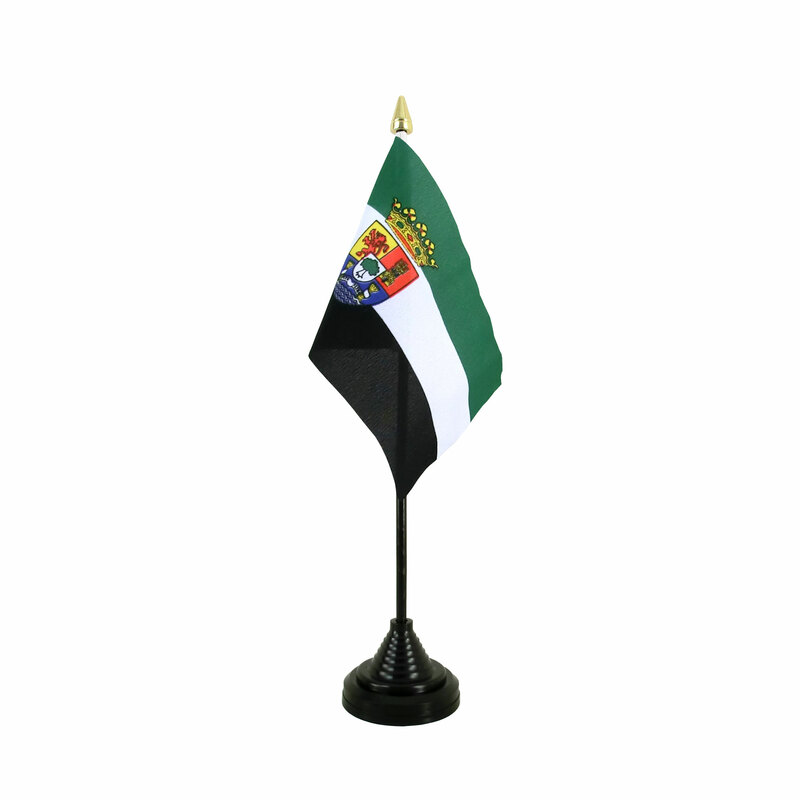 Here you can find all sizes and designs of our Extremadura flags for sale. Order "Table Flags" in bulk from us. Buy many with less money. Base for 2 table flags 4x6"
Base for 3 table flags 4x6"
Base for 5 table flags 4x6"
Base for 4 table flags 4x6"